Jaguar previewed the I-Pace electric crossover at the Los Angeles Auto Show. The production version is due in the second half of 2018. 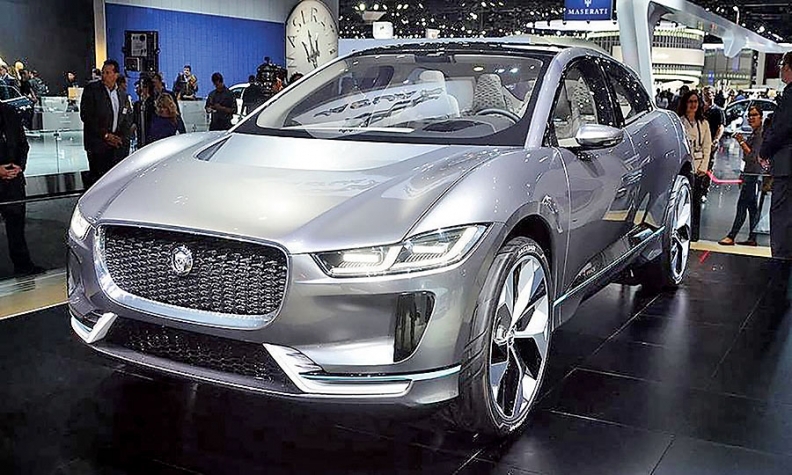 Jaguar, a British brand owned by an Indian company, will use a Canadian-owned contract manufacturer to build full-electric crossovers in Austria. The I-Pace will be built by contract manufacturer Magna Steyr's factory in Austria, Jaguar Land Rover CEO Ralf Speth told Automotive News Europe. JLR signed a contract to build vehicles at Magna's Graz plant in July 2015 but at that time the company didn't specify which models would be produced there. Automotive News sibling publication Automobilwoche reported then that Magna would manufacture an electric vehicle and the new Land Rover Discovery for JLR. Speth confirmed that the I-Pace would be one of two vehicles that Magna builds for JLR. He declined to confirm whether the second model would also be an EV or whether it would be a Land Rover. Construction has begun on an extension to Magna's factory in Graz to prepare for output of two JLR models. IHS Automotive foresees production of about 13,000 I-Pace models with Magna in 2019, the EV's first full year on the market. Jaguar previewed the I-Pace at this month's Los Angeles Auto Show. The production version will go on sale globally in the second half of 2018, providing the U.K. brand with a rival to EVs planned by German competitors Audi and Mercedes-Benz. Magna currently builds the Mercedes G class for Daimler and the Mini Countryman for BMW Group in Austria. Output of the Countryman will end this year and be replaced by production of the BMW 5 series.